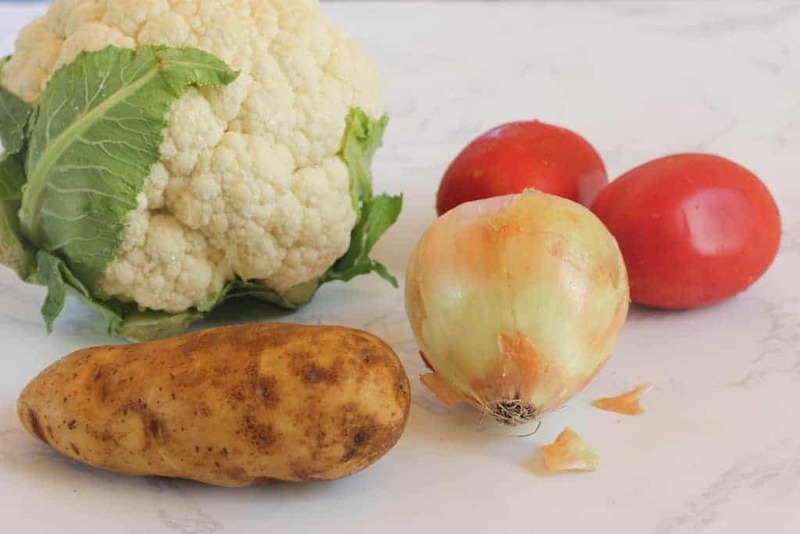 Aloo Gobhi is our go-to weeknight cauliflower curry with potatoes, onions, tomatoes and some of our favorite spices. 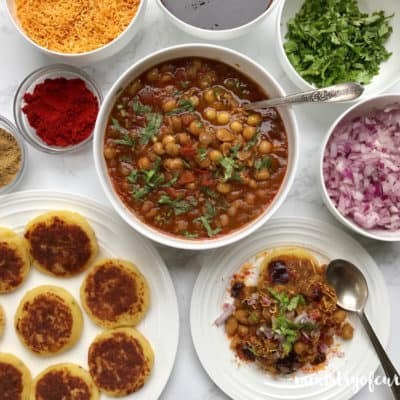 Usually paired with spinach daal and rice or simply served with warm homemade parathas, it makes a nourishing weeknight meal. 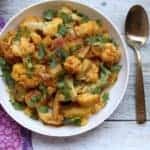 I have started making aloo gobhi in my Instant Pot and I am amazed to see how perfectly tender the cauliflower and potatoes cook in a short time. 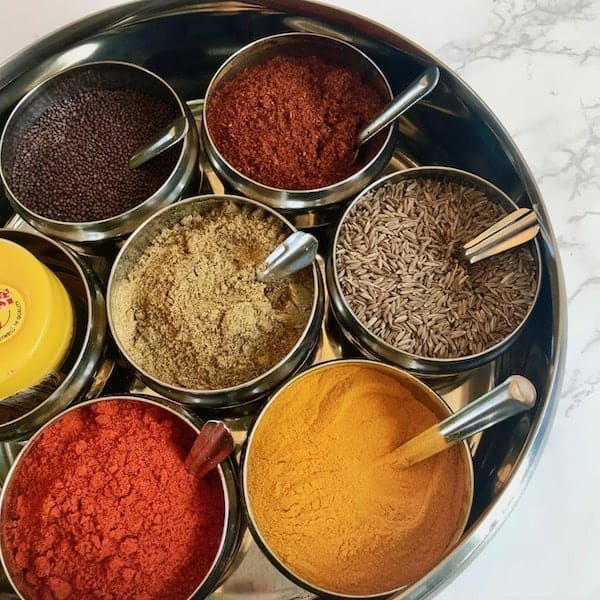 The recipe uses basic spices – cumin seeds, turmeric, red chili powder, cumin powder, coriander powder and homemade garam masala. The red chili powder I use is called ‘Kashmiri red chili powder’. It is a very mild chili powder that gives a beautiful red-orange hue to the curries. If you are using a different chili powder or paprika, you may want to adjust the quantities. Chili powder can also be added in the end and adjusted to taste. I love adding onions and tomatoes to this recipe as it makes the curry moist and tangy without overpowering the flavors. This is a simple stove top recipe that is adapted for Instant Pot. Cut cauliflower into big 2 to 3 inch florets along with the stems. 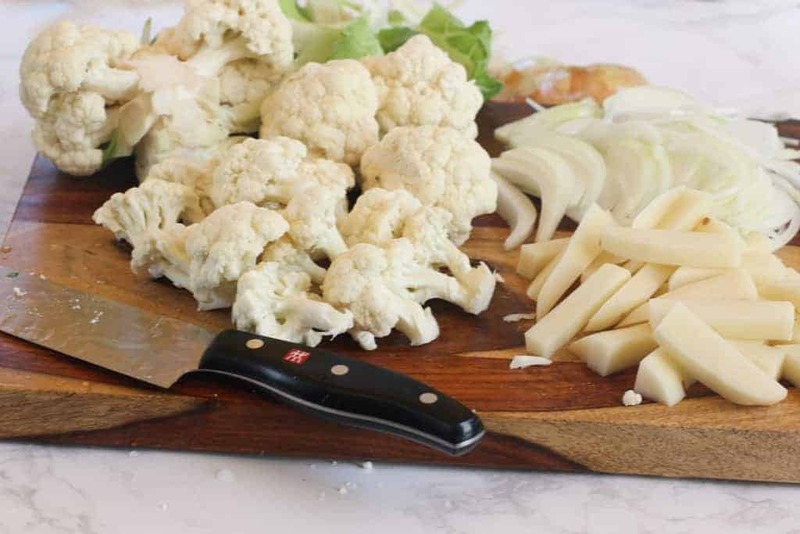 Cut potatoes into thin wedges so they cook well along with the cauliflower. Reduce the cook time to 1 or 2 minutes if you like a bite to the cauliflower OR cook at low pressure. Press Cancel after the pressure cooking cycle is completed and immediately quick release the pressure to stop further cooking. Open the lid and take out the inner insert and put it on a trivet to stop further cooking. 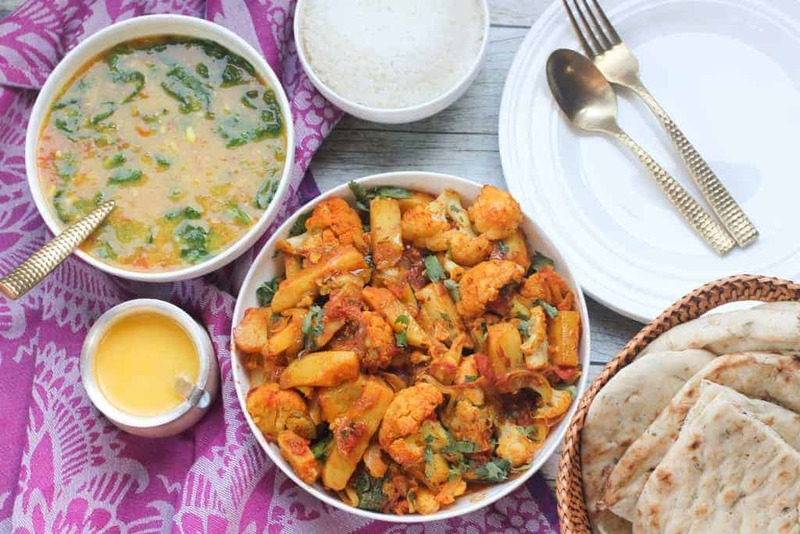 Aloo Gobhi - A healthy, delicious potato and cauliflower curry made with aromatic spices in under 10 mins in an Instant Pot! Add turmeric, red chili powder, coriander powder, cumin powder, garam masala and salt. Add potatoes and cauliflower florets. Add 1 tablespoon of water. Mix well. Thank you Jess! It is a simple and delicious recipe. Looks delicious! I keep seeing all these amazing dishes made with an Instant Pot, I’m going to have to get myself one! Thank you! I am loving cooking in my instant pot. Easy cleanup and delicious, healthy foods. I am happy that I am looking at your blog. 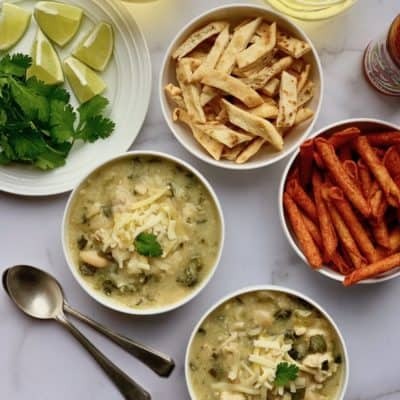 I am looking forward to exploring how to use the Instant Pot, and these recipes are a good place to start. Awesome! Let me know if you have any questions. You will love the ease of instant pot, delicious foods and sick cleanup! Love your site. For this dish I don’t have a cumin-coriander blend but I do have the individual spices. What would the ratio be to make the blend? Thanks! Thank you! Half cumin and half coriander seeds. Lightly toast both and grind. You can make extra as it goes well in many Indian curries. Let me know how you like it. Not Sure why the video was not playing. I have updated it again. Please check now. Thank you! If I use frozen cauliflower florets (not thawed), do you still recommend putting water? Thanks. Hi Anjuli, I would put 2 tablespoon of water to make sure instant pot comes to pressure. Hi, really liked the recipe and for my first go at Aloo Gobi it worked out great. I used the spicier chili powder and almost blew everyone’s head off – oops lesson learned. A do again. Hi! Thank you for your feedback. I agree that some red chili powders can be very hot. I love kashmiri chili which is bright red but mild. Also you can always add chili later per taste. Aloo Gobhi is on repeat for us! Ok this is a new favorite. Thank you so much! I already loved the other recipes you had posted but I swear I could eat the entire pot full of this myself! I used Paprika instead of Kashmiri Chili as i am not big on a lot of heat and it was super tasty. I used the 2 minute method and the texture was just right for me. Looking forward to more recipes! Hi Christine!! Thank you for the feedback. So happy to hear that you enjoyed this recipe!! Paprika is a good substitute. I agree depending on the size of the cauliflower 2 mins is a good time for cauliflower. I will keep posting more recipes!! I’m so excited to try this! I LOVE your recipes and your site!!! Do you think that I could use cabbage instead of the cauliflower? If so, how do you think I would adjust the cooking? I’ve never done cabbage in the instant pot! Hi Jodie, Cabbage would work but cut it into big pieces. Cut potatoes into thin sliced so the cooking time will work for both vegetables. Ofcourse, cabbage wont be as crunchy but with all the spices it will taste great! Let me know how it comes out for you. Hi. I tried this recipe out in my IP and you don’t have enough liquid listed in your recipe. For an IP to come to pressure there needs to be at least 1 to 2 cups of water. I tried it with the amount of liquid you suggested and when my IP wouldn’t come to pressure (as my intuition told me it wouldn’t) I added 1.5 cups of water and it came to pressure. You may want to adjust your recipe to reflect this. Hi Lizzie! Thank you for reaching out. You are generally right about the 1 cup liquids rule for Instant Pot. But, cauliflower releases a lot of water as it cooks. Hence for this recipe I use less water. Not sure how long you waited for it to come to pressure? Hi – I think there’s an error in your ingredients list. 1/2 t of cumin or cumin seeds? The list says cumin but the instructions say cumin seeds, which I did not catch until after I’d mixed all my spices while preparing to cook. Hi Margaret. Sorry for the confusion. It is cumin seeds. I will correct the recipe. Thank you and I hope you like the dish. Just finished making it…I also required more water for my Instant Pot to come to pressure. Also, my sauce did not have the same pretty red hue yours did. I’m accustomed to making aloo gobi with 16 ozs of diced tomatoes and their juices, so perhaps that’s the difference. The flavor is good. I’m going to add more tomatoes after the fact, and will enjoy it. Hi Margaret, I am glad you liked the flavor. Thats a lot of tomatoes but I bet it will taste yummy, next time you can add that whole can of tomatoes with the cauliflower and then you will not need any water, It will be delicious. Also, I use Kashmiri red chili powder which gives curries a pretty color. Tomatoes will do the same trick for you! Thank you for sharing your feedback. I love to hear from my readers. I would like to double this recipe. Would the cooking time remain the same? I just made this and it is AWESOME! Question for you – does the spicy heat come solely from the kashmiri chili? Or does the garam masala add heat as well? I was testing the recipe, so I can make it again for my very young kids and even when I cut the Kashmiri chili to 3/4 tbs and the garam masala to 3/4 tsp, it is still VERY spicy. I read above, about substituting paprika for the kashmiri. But would that alone make it less spicy? Or do I need to cut the garam masala also? I have kids who are very sensitive to heat, so I need to make this VERY mild, if possible. That said, it was DELICIOUS!!! Hi Miguel, Thank you for your feedback. 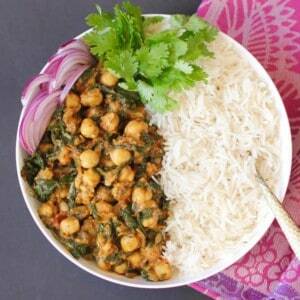 Both red chili powder and garam masala add heat to this dish. I would make this dish with 1/4 tsp of red chili powder and 1/4 teaspoon of garam masala for kids. You can always sprinkle more later as needed. You are welcome! I am glad you enjoyed the flavors. My blog also had a spinach daal recipe that is kid-friendly. You can just reduce or skip the green chilies. My children grew up eating that daal. Great video presentation! I will make Aloo Gobhi soon. I made Daal dhokali, Dum Aloo, Vegetable pulav, Sambar, yogurt and every day tea with lid on and four boiled eggs. Love Instant pot and all these suggestions. Thank you Archana Deshmukh. You are welcome. Thank you for your lovely Feedback, Harsha! This came out very bland. I added in way more spices after pressure cooking, maybe double the amount called for in the recipe. I also added in garlic and ginger early in the cooking process. This was pretty easy – I spent more time chopping than cooking 🙂 I also made a few mistakes; here they are so you don’t repeat them. All mistakes are my own and not the author’s fault. 1. Cut the cauliflower into pretty large florets (you can always cut them smaller, later). The potatoes (about 1/2″ dice) were perfectly cooked and the cauliflower (small florets) was somewhat mushy. 2. My husband doesn’t care for very spicy food, so I skipped the cayenne. Big mistake – the aloo gobi came out very bland. I’ll reseason it when I reheat it. 3. I was concerned the potatoes wouldn’t cook thru, and set the IP to manual 2 minutes. Next time I’ll go for 1 minute. I was concerned there wouldn’t be enough liquid to allow the IP to come to pressure, and added a few tbsps of water. This actually worked out very well. Overall this is a keeper and I’ll definitely make it again. Thank you, Archana! Hi Edith, Thank you for your detailed review and feedback. Your feedback will help a lot of readers and I will also incorporate some of the tips in the recipe. I am glad you enjoyed the flavors and will make it again. This recipe is on our weekly menu. If I want to make double, do I just double the full recipe including the water? Excellent dish! Your chicken biryani is the best as well in the IP! Thank you for your site! Thank you for you lovely feedback Kathy! I am so glad that you are enjoying my recipes. I would appreciate if you can rate the recipes you have tried, the ratings can be done on the recipe card. 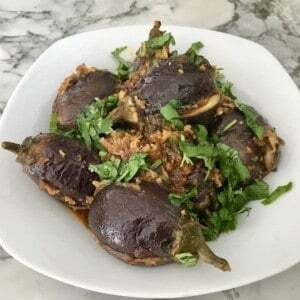 Another 5 star recipe for Archana. – I suspect my iPot heats up more than others in the sauté mode (this has happened to other bloggers I read), so I sauté at a lower mode when using lid. – With only 1 tbsp of water, the IP DOES come to pressure (!). – The cauliflower ALMOST turned out mushy, so should I try cooking at manual for 1 minute instead of 2 ? Thank you, Archana. This, as always, is delicious! Thank you fir your detailed feedback Louise! Make sure to cut your cauliflower into big florets. Also you can either cook at low pressure or cook just for zero or 1 min for firmer cauliflower. Also turn the Instant pot off as you do the quick release and take the inner pot out to prevent over cooking. I can’t wait to make this next week! Looks delicious! One of my favorite combinations! I made this for the first time the other night to take to a pot luck. I love that I trust your recipes so much, I don’t need to test them before making them for a party. This recipe was amazing. As all your recipes are. Thanks. Thank you so much Rachel for such an awesome feedback! I want to make your recipe tomorrow, am hoping you get back to me soon but if not it’s ok. Just wondering if I need to change anything in this recipe for a 3qt mini instant pot? It looks delicious, can’t wait! Thank you in advance. Hi Noelle, No changes 🙂 Follow as is! I will love your feedback. Thanks for getting back to me! I didn’t get to make it that day, but made it tonight, and it was 5 star delicious! Hi Noelle, Thank you for you detailed feedback. I am so glad you enjoyed the flavors and that the recipe worked for you 3 QT. 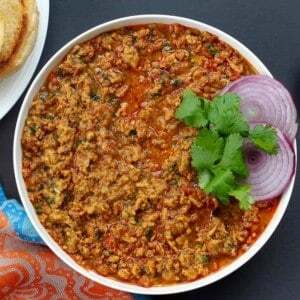 To make more sauce, Add extra 1/2 cup of water and layer over some extra ground coriander (1 tbsp), 1 tsp ground cumin, 1/2 tsp garam masala or red chili powder.